As LSU launches its $1.5 billion, system-wide ‘Fierce for the Future’ campaign, several lingering controversies are posing a unique challenge for fundraisers, who must raise $930 million by 2025 to meet the ambitious goal. Among recent headline-toppers: Basketball coach Will Wade’s voice appearing on an FBI wiretap; multiple hazing controversies within LSU’s Greek system; a controversial holistic admissions policy; and an alleged link between the university’s athletics program and the embezzlement scandal involving John Paul Funes, the former head of the Our Lady of the Lake Foundation. 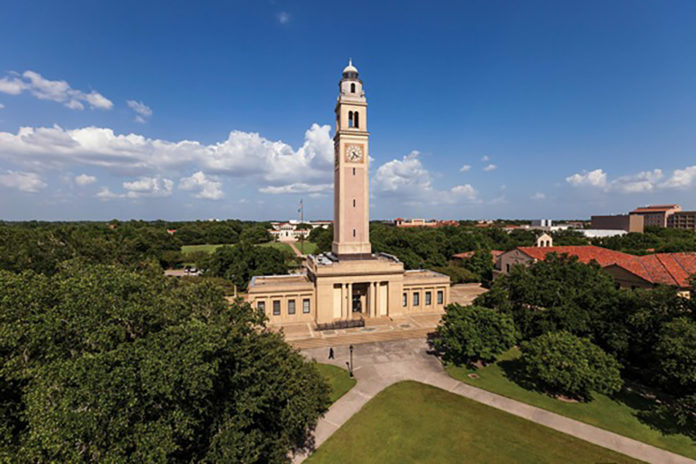 Out to assuage any donor concerns, LSU fundraisers say they will highlight how contributions will support tens of thousands of students, faculty and staff through scholarship funds, new buildings and research funding. Still, the question remains: Will the controversies negatively impact donor giving? It took nearly four years for the university to quietly raise some $571 million prior to the campaign’s public launch. Yet, LSU fundraisers are optimistic. Preparing for the campaign, the foundation last year retained national consulting firm Marts & Lundy to administer a survey asking potential donors how much money they would be willing to spend on the different priorities outlined in the Strategic Plan, as well as which ones were most important to them. In all, 60% of dollars raised will go toward academics, while 40% will go toward athletics, including $387 million for Tiger Athletic Foundation scholarships and capital projects and another $216 million for LSU Athletics—which could raise some eyebrows, considering the department’s recent issues and the department’s already lucrative revenue streams.